A clean, crisp tone is the hallmark of the 700L acoustic set. La Bella makes the light tension strings with silver-plated copper wire that's hand wound on a steel core. 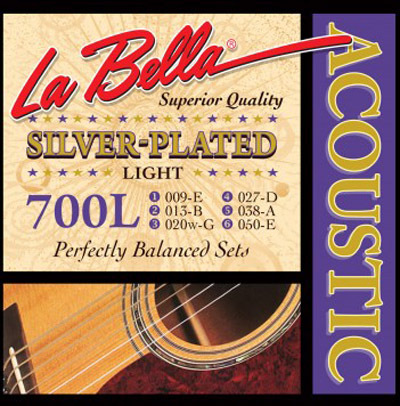 La Bella introduced this traditional style of string in the 1940s. The strings have slightly less tension than strings wound with bronze or brass. She was very excited when she opened the package. I was impressed with the personalized information you included with the shipment.